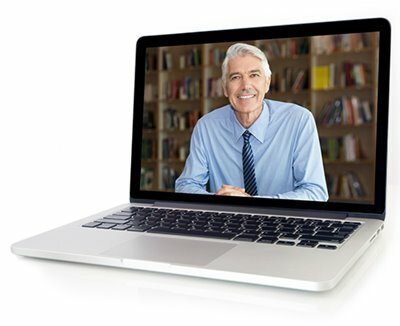 Want More Content for Distance Learning? 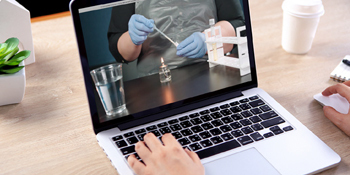 To ensure online teaching success, student engagement is of paramount importance. As the saying goes, an engaged student is a motivated student. If students aren’t engaged, they can’t perform at their best. A sense of belonging to a group enhances student performance. Online study groups help students to stay focused. Having a place to discuss issues with other students increases student effort. Start the first class with a brief video introducing yourself as the instructor and your course. For an instructor, engaged = active participation and timely response/feedback with the end goal of helping a student succeed. For a student, engaged = active and timely participation in an effort to understand the course material for more reasons than to pass an exam or get an A on a test, and to feel supported by the instructor to learn the material. Respond to student postings in a timely manner—in less than 24 hours, for example. Make yourself available to students during set office hours. Use video chat for face-to-face talks with students. Post pictures of yourself and your students. 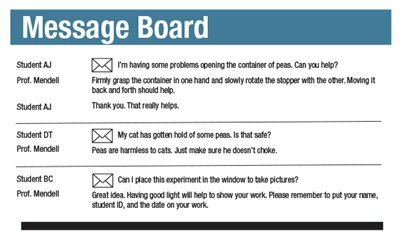 It helps students understand they’re interacting with real people in real time. Provide a platform that enables students to talk among themselves. Have a way for students to collaborate on projects. Your assignments can draw on a variety of digital formats, including infographics, video recordings, digital canvases, and portfolios. Are you using instructional videos to deliver content? Types include demonstration and screen capture videos. In a demonstration video, you can demo a technique while talking to the camera. Consider hosting your videos through YouTube. In a screen capture video, you record yourself as well as your desktop. And finally . . .
Make sure the education is solid. Be prepared, concise, innovative, unique, and available, recommend online educators Amy Rottmann and Salena Rabidoux. Have fun! When you enjoy what you teach, students can tell—and it’s inspiring.